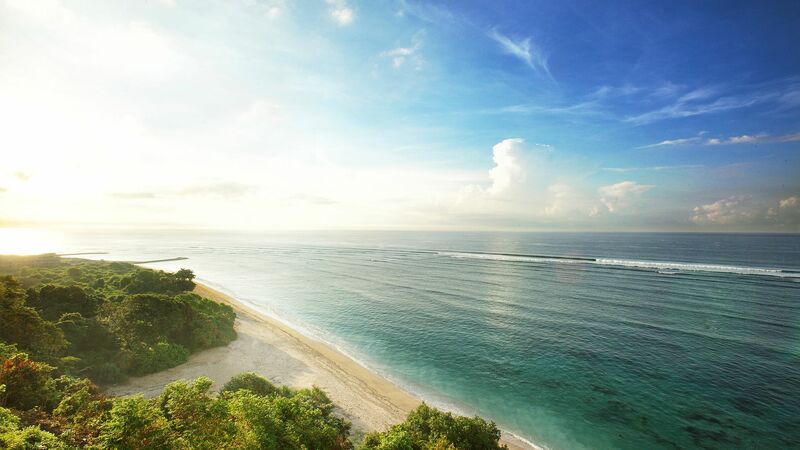 Nusa Dua takes you to the southern tip of the Indonesian island of Bali. It’s home to a spectacular white sandy beach, which stretches for miles and offers the perfect place to relax. Couples will love the many opportunities to immerse themselves in the serenity of the resort, while families will find calm, shallow waters, which are ideal for their little ones who want to paddle. The beaches are protected from waves and currents by the vibrant coral reefs which are located just off the coast, offering plenty of opportunities for those wanting to enjoy a swim in the calm waters. Scuba divers and snorkelers will love exploring the underwater world here, while golf lovers can enjoy one of the excellent, professional standard courses, which can be found peppered along the coastline. Families should book boat trips and explore Serangan Island, which is home to a protected turtle colony and beautiful views. 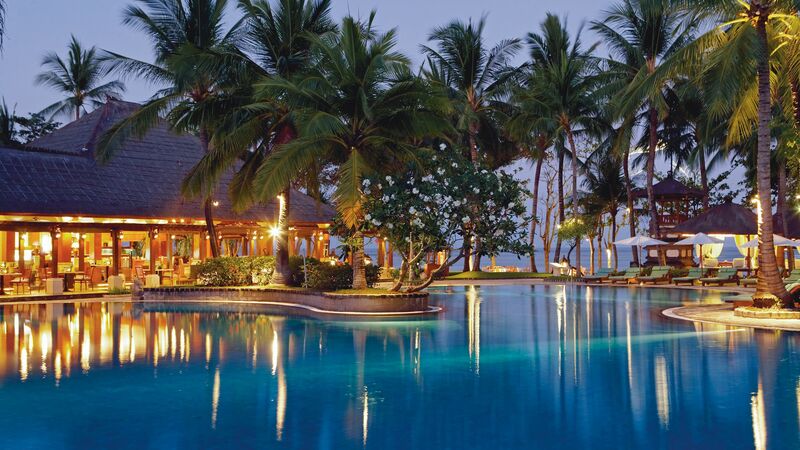 Holidays in Nusa Dua centre around its pristine beach and selection of upmarket hotels. Here you’ll find a selection of fantastic restaurants, spas, and activities including watersports. If you want to fully immerse yourself in the serenity of the island, try yoga classes on the beach, or visit one of the artists’ studios which can be found in the nearby villages. For shopping, there are designer shops and boutiques in nearby Seminyak, where you can pick up fashions and trinkets. Book your luxury holiday in Nusa Dua with Sovereign and you can relax, knowing you’re in safe hands. We take care of all of the little details, including selected airport lounges and private transfers, as well as staying in each of the hotels we offer to ensure they match up to our exacting standards. 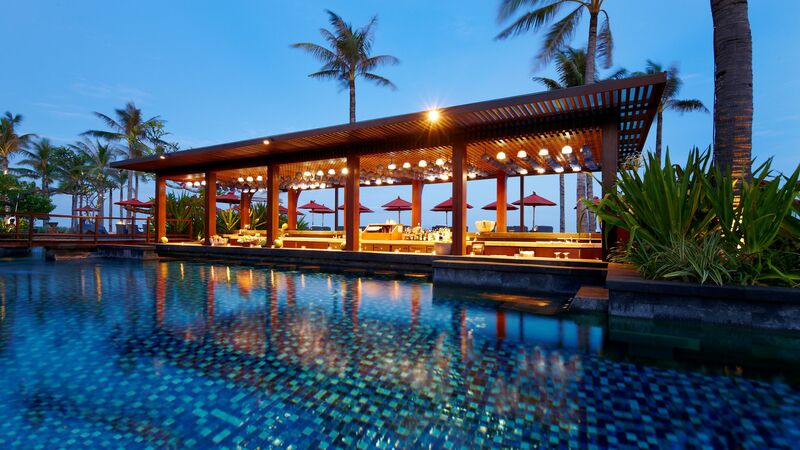 The St Regis Bali Resort is located right on the beach and offers elegant décor throughout, while The Laguna A Luxury Collection Resort and Spa has an extensive spa and beautiful lagoon style swimming pool. Alternatively, choose to stay at the Samabe Bali Suites & Villas for two fantastic restaurants and an all day Kids’ Club. Transfer time from Bali airport to Nusa Dua is approximately 30 minutes.